Rhodes (Rhodos) Airport Transfers to all Hotels in Afandou, Faliraki, Fanes, Ialissos, Ixia, Kalathos, Kalithea, Kiotari, Kolymbia, Kremasti, Lardos, Lindos, Pastida, Pefkos, Rhodes Town, Tholos, Trianta. If you are looking for low-cost transfers from Rhodes (Rhodos) airport in Crete, Euron Transfer has what you need. Our Rhodes airport transfers are reliable, safe, comfortable, and sure to meet all your demands. Euron Transfer provides a privat transfer service for Rhodes airport transfers, so make sure to book your transfer with us now! When you land at Rhodes (Rhodos) International Airport your appointed private driver will be there to welcome you. The driver will be holding a sign with your name on it, while waiting for your arrival at the exit terminal. Even if your flight schedule changes unexpectedly, our drivers will be instantly updated with the new arrival time, in order to ensure your comfortable drive from the airport to the Town of Rhodes (Rhodos). 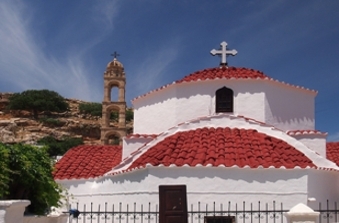 Transfers from Rhodes (Rhodes) Airport, serve many popular destinations in Greece. Our Rhodes Airport Transfers can take you straight from the airport to your hotel or into a city centre of your choice. Euron Transfer are specialise in hassle-free transport of passengers incl. luggage to and from airport. Greece is one of our favourite destinations and we know that our local drivers are committed to getting you to your destination safely and direct. Start your trip in as relaxed a style as possible – book your Rhodes airport transfers to and from your destination in advance and we’ll make sure one of our friendly drivers will be waiting for you the moment your plane touches the ground. 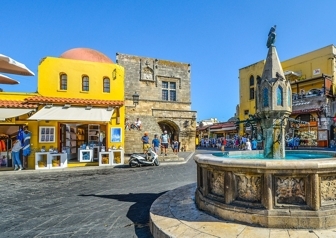 Reap the benefits of an easy booking process, clear and detailed booking information and attractively low prices – book your transfer from Rhodes Airport with us now! Go on “Book Now” and reserve your transfer in just 4 steps, you have the possibility to book extras too, like golf luggage, child seats or even a wheelchair or bicycle. After booking, you will receive your travel documents by e-mail within 30 minutes. You are expected directly at the terminal exit with a name board and driven to your hotel, otherwise there are no other guests. You can pay directly to the driver, you can also pay by Paypal if you wish your Rhodes Airport Transfers.